Mandi is always on a mission and puts 100% effort and focus into everything she does. She always makes time to chat with others and is well versed in everything CF. We are excited to have Mandi fill in when coaches are away. Below is a little bio about Mandi. “Growing up I think I tried just about every sport, but didn’t particularly excel in any of them. However, this didn’t stop me from participating just for the sake of fun and friendly competition. I have always had an interest in the human body and health. I went to Queen’s University for nursing, and I spent the next 6 years working in hospitals taking care of others. I left that profession not necessarily because I no longer enjoyed helping these people, but because of the stress of that profession and setting. As an adult, it took some time to learn how to balance the right amount of exercise and healthy eating, as I had times where I was doing too much or too little of either, and have been both very underweight and overweight. In 2009, I went back to work after my first maternity leave. On my weekdays off, my son was in daycare and I realized I had time for myself! Up until this point, I had been working out in globo gyms. I had never been a good runner, so I decided to set a goal of running a 5km local race. This led to multiple 5, 8, and 10km races, and a couple duathlons/triathlons. I stuck with mainly running and cardio workouts with a bit of weightlifting until 2014, when I first tried crossfit. I was pretty much hooked from the beginning. My first WOD was Grace, (at 55#). It would be over a year until I was able to Rx it, but wow-what a good feeling!! I do really enjoy the adrenaline of competing in Crossfit, and have done a few small competitions. Having something to work towards helps keep me motivated. No comps booked right now, but it’s only a matter of time until the next one! In 2016 I decided to get my CF L1 Training Certificate because I became passionate about this style of training, and decided I would like to be able to coach one day! 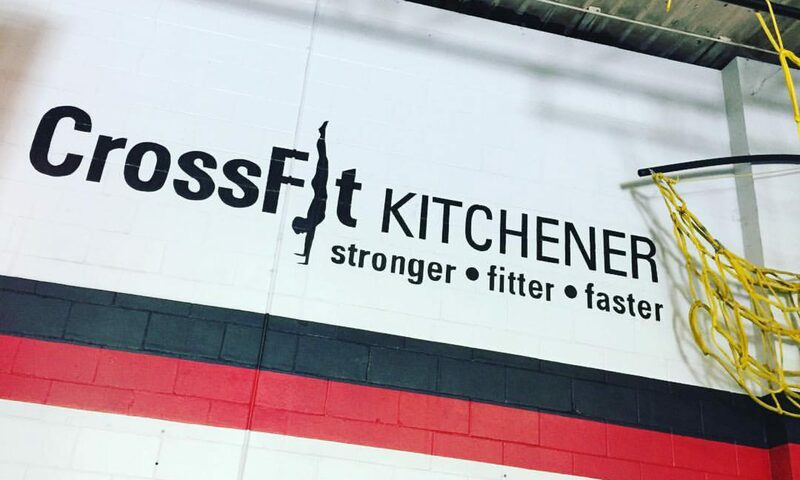 I coached some classes at my first box in California, and now I am lucky enough to be able to help CF Kitchener get and keep everyone fit and healthy! Row to Hell and Back!